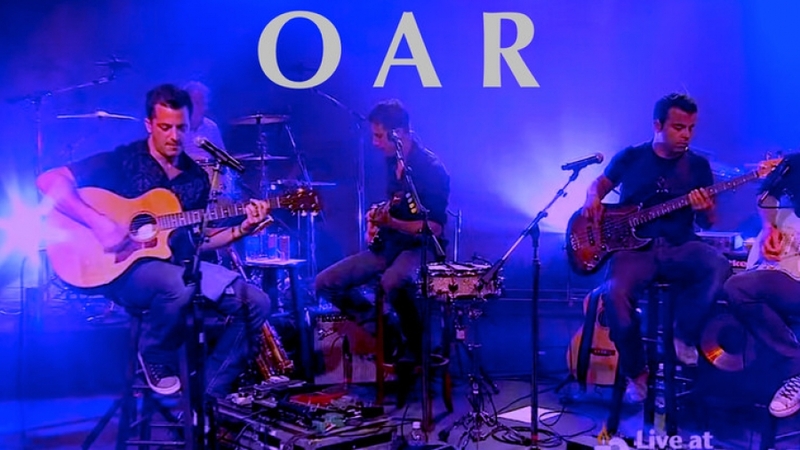 live concert hd broadcast for O.A.R. I mixed an hour long set for O.A.R. at Deep Rock Drive Studios Las Vegas in 08 where I was Audio Director and Mix engineer for the innovative start-up company. This was a live real-time mix to HD video simultaneously distributed to viewers over the internet. DeepRockDrive at the time was the only live internet concert venue that had real-time interactivity. Viewers at home were able to text the bands in real-time on some forty big-screen monitors positioned in front of the bands enabling them to pick and chose fan comments. Fans would text the band, band would reply over video. The delay was only about two seconds so real conversations with fans between songs was easy going. Amazing really. The fans would also let the band know how the mix was going immediately, lol. As it usually happens for a live video music broadcast, the video team of 14, being much larger than the audio team of 2, took the lion-share of the time blocking cameras and lights. Me and our monitor engineer were lucky to get an hour with O.A.R. right before the prompt broadcast. I mixed the broadcast on a Digidesign Venue console and live mastered through a Waves L2 maxx bass processor to our codecs.